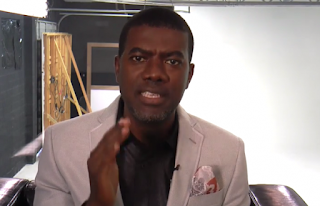 Former Special Assistant to ex-President, Goodluck Jonathan on New Media, Reno Omokri, has reacted to Aisha Buhari’s BBC interview in which she warned her husband, the President, that she may not back him at the next presidential election unless he shakes up his government. In the same interview, Aisha had declared that Buhari “does not know” most of the top officials he has appointed, and that the government had been hijacked by some persons deciding presidential appointments. But reacting to this, Omokri referred to the wife of the President as a wailer. Recall that the presidency had referred to those criticizing the present administration as ‘wailers’. On his Face book page, he wrote: “Wow! This is explosive! Even Buhari’s wife has turned to a wailer! “Aisha Buhari has told the BBC what we have been saying all these months. You need to watch/read this interview! It is well worth your time! 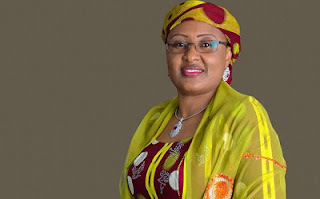 “Let me just give you excerpts ‘Nigerian President Muhammadu Buhari’s wife has warned him that she may not back him at the next election. “His wife’s decision to go public with her concerns will shock many people, but it shows the level of discontent with the president’s leadership, says the BBC’s Naziru Mikailu in the capital, Abuja. “Now, will all those who have had a field day attacking me for my criticism also attack the First Lady?,” he quizzed.